Have you ever downed an entire package of chips, crackers, or cookies? Ate pizza or cake until you felt sick? Drank more coffee or wine than your body wanted? Had an overwhelming craving that you acted on, and then totally regretted it? Do you remember how you were feeling at the time? Sometimes we overeat to help distract us from emotional pain. Think about it—have you noticed that sometimes when you overeat you’re not hungry at all? What you are is lonely. Or angry. Or sad. Or resentful. Or frustrated. Or something else. Food makes us feel good, so it is natural for us to turn to food to help us cope with uncomfortable feelings. But, turning to lots of food is merely a temporary "fix," and one that often makes us feel worse. It is more effective to address what's going on emotionally. Don’t forget to forgive yourself. Most of my clients are harshest with themselves. Know that everyone falls short sometimes, and choosing to let it go can be very healing. 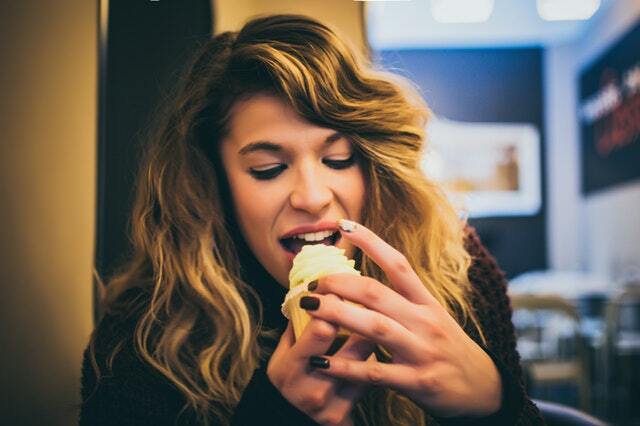 Are you dealing with cravings? Sign up for a FREE Conquer Cravings Strategy Session with me next week! Don't wait to get started on your journey to better health.